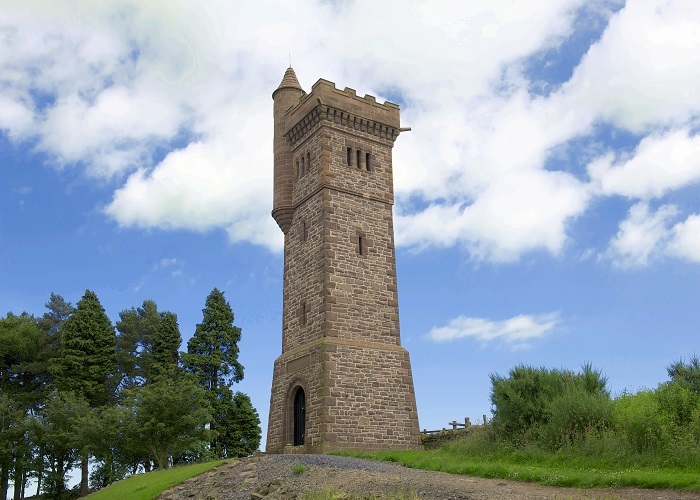 Known locally as ‘Bummie’, the monument on Balmashanner Hill was built in 1921 to commemorate servicemen of the town. The hill offers fine views over Forfar, the Valley of Strathmore and to the Braes of Angus beyond. Nearby stands an indicator which gives the names and heights to the hills and mountains which can be observed from the top of Balmashanner Hill which is 174m (572 feet) high.